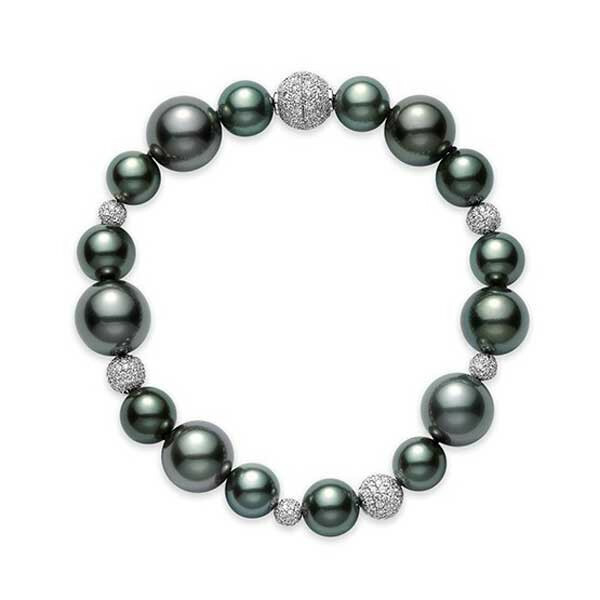 This bracelet from Mikimoto is exceptional! Crafted in 18kt white gold, it features graduated black South Sea pearls ranging in measurement from 8-11mm, along with various-sized diamond balls, the largest of which is the clasp. This Mikimoto bracelet has uncompromising beauty and grace...just like the woman who will wear it.